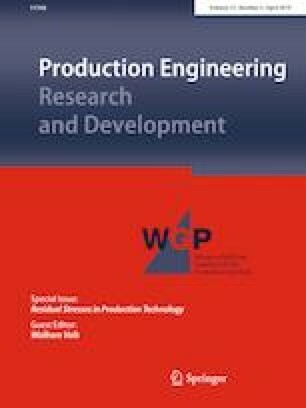 The paper presents a novel methodology to form disc springs made of metastable austenitic stainless steel using incremental sheet forming (ISF), which is also used to generate compressive residual stresses. The research aims at replacing the shot peening process which has various disadvantages such as a change in disc spring geometry and replacing it with a method that allows a better control of spring properties. Two different methodologies were developed. Firstly, ISF was used to selectively induce the residual stresses in conventionally formed disc springs. Secondly, ISF was used to form the disc spring and to induce the residual stresses during the actual forming process. Residual stresses were measured using bore-hole-drilling. For both methodologies, ISF induces higher compressive residual stresses in the disc spring and a higher spring force in comparison to conventional disc springs. The changes in the spring properties is due to the formation of deformation-induced martensite, which is characterized by using metallurgical investigations and disc compression test. Hence, the strategies developed using ISF can be employed as an alternative forming process for disc springs with integrated surface treatment. The authors would like to thank the German Research Foundation DFG for the support of the depicted research within the priority programme ‘SPP2013’ through Project no. ‘BA 4253/6-1’ and Project no. ‘WA 1672/31-1’.